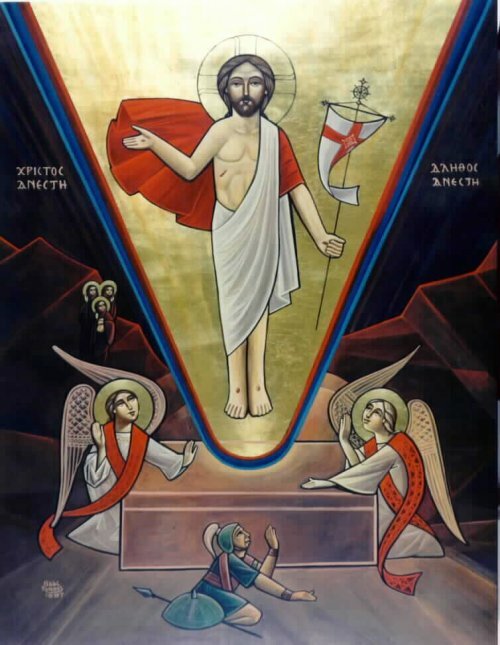 This past Sunday started the Coptic Holy Week of Pascha for 2013, making Easter Sunday on May 5th -- which is considerably later than the Catholic Easter. This is because the Coptic calendar is a revised Julian calendar, where Easter is the first full moon following the northern vernal equinox (Spring). O Lord, save Your people and protect them with the life-giving sign of Your cross. 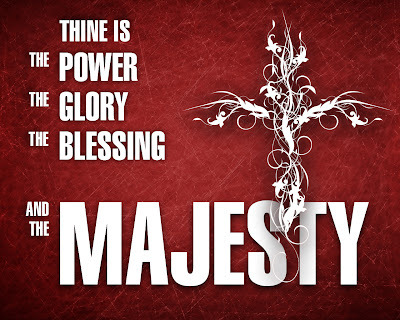 Raise the state of the Christians all over the world, and soften the hearts of their rulers towards them. Fill their hearts with compassion towards our bretheren, the poor, and the needy and take away from them all evil. We ask You, O Lord, hear us and have mercy on us. You are the fortification of our salvation, O Theotokos, the invincible fortress, take away the council of the adversaries, and turn the afflictions of Your servants into joy. Defend our cities, fight for the Orthodox kings and rulers, and intercede for the peace of the world and the churches. We ask You, O Lord, hear us and have mercy on us. I thought them very fitting given the recent Christian Persecutions happening in Egypt and elsewhere. We pray that God may have mercy upon us and hear the supplications of His people in Egypt and everywhere affected. And, continuing with tradition, I've come across two great resources for digital editions of the Holy Pascha Book that I hope will be useful and edifying to all. The first is one which I have shared on here previously, but I have updated it to include the Arabic font so that it renders properly on devices that don't have the font installed by default (typically mobile devices). The second is a sectioned series of PDFs that should make navigating during Pascha easier. If you have other resources that you think may be useful, or could use some help making them more accessible (such as embedding the Arabic font, etc), please let me know, or comment below. Thanks and God bless! I don't know where to start. What can I do? The recent attack at the Boston Marathon is terrible and despicable and our thoughts and prayers are with all of those affected. The attack has garnered a lot of attention for many reasons, including how rare and unexpected it was. Does that sound like a people that have been terrorized? A people that have been shaken in what they believe in? Ah, on the contrary. It is the rekindling of the zealous spirit that all Americans share -- the pride and joy of standing united, despite our (many) differences, in opposition to those who envy our freedom. An echo of the same invigorated spirit we all shared in the aftermath of the 9/11 attacks. But why? Why do terrorist attacks have this positive affect on Americans? One of the many reasons is that because we have a government that, while often taken for granted, seeks immediate justice for unjust acts. Yes, we will find you. And yes, you will face justice. We will find you. We will hold you accountable. But more than that, our fidelity to our way of life, for a free and open society, will only grow stronger, for God has not given us a spirit of fear and timidity, but one of power and love and self-discipline. Obama's mention of the Timothy verse resonates so profoundly with how our Lord teaches us to react to those who wish harm upon us. 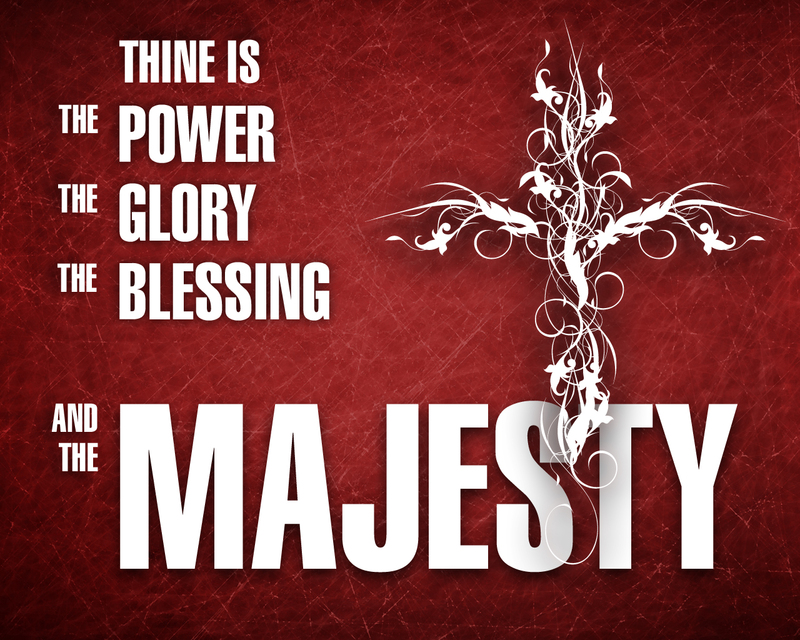 We stand fearless because of God's spirit within us and we act in a powerful, yet loving and self-disciplined way. Unfortunately, this same reaction is profoundly more difficult when one doesn't have this same level of support and unity from his/her elected official. And even more difficult when these officials all but publicly condone such acts. St. Mark's Cathedral, holiest site for Egypt's indigenous Christians turned into a war zone. Source. So [we retreated back into the cathedral], thinking police would come to protect and separate the clashers. We were surprised to find that the police began to intervene and become another party to the conflict, attacking the Copts who were fighting back against the [Muslim] youth who were attacking them, and shooting gas bombs into the cathedral compound, which caused extreme poisoning, to the point that the ambulance cars were not enough to take the sick. Source. You can read more about what really happened on that day in Raymond Ibrahim's report here. Also view photo evidence of the public condoning of the violence by Egyptian officials here. Recently, His Grace Bishop David organized a public prayer service at St. Patrick's Cathedral in New York to pray for the victims of both the Boston bombings and the Christian persecution going on in Egypt right now. I was discouraged to see that a Google News search for some level of coverage of the historical event turned up no real results. It seems the only coverage were a few tweets and some announcements by participating churches. It was a beautiful service that I hope will help shed more light on the atrocities that are happening right now in Egypt. 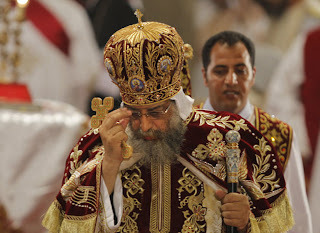 HG Bishop David implored both the U.S. Government (which contributes $1.5bn in aid annually to Egypt) and the "elected" Egyptian Government to protect the indigenous Christian population -- which unfortunately has enacted a constitution full of holes that all but allow for the suppression of Christians and other non-Islamic religions in the country. 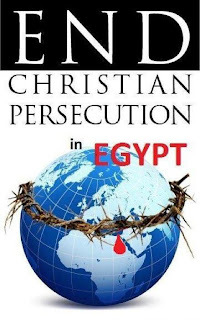 As Copts and as Christians we stand together (with the gracious support of our sister churches) in united prayer as we beseech the Prince of Peace, our Lord Jesus Christ to deliver His people from the hand of the persecutors and that He open the eyes of those born blind. So I asked myself, where do I start? What can I do? At the very least, I can help spread the word. At the most, I can pray. And I can ask you to do the same. God bless you and God bless the people of Egypt. The great people over at the YouVersion Bible App are doing something really interesting this year. Every time a YouVersion user reads one of the Christmas story verses, a star will be lit on the live map over at christmas.youversion.com. Interesting spin off of the NORD Santa Tracker and it's encouraging to see the map update in real time as people open God's Word and read about the true meaning of Christmas. This past Sunday, November 18th saw the official enthronement of HH Pope Tawadros II, who was elected as the 118th Pope and Patriarch of the See of St. Mark on November 4th. 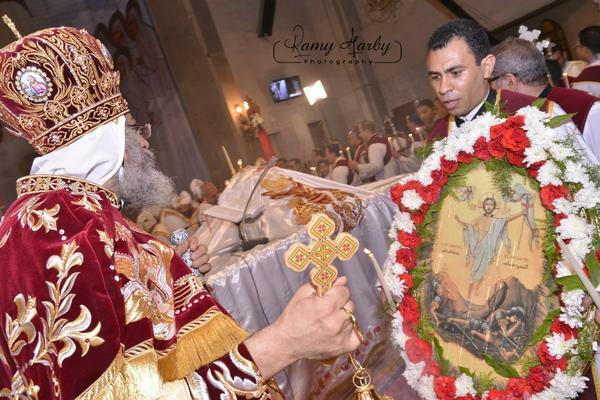 The ceremony was beautiful and filled with emotion as we mourn the passing of the late Pope Shenouda III and begin a new chapter in Coptic history with Pope Tawadros II. The entire Enthronement Ceremony can be viewed here, thanks to the stgeorgejc channel. You can also view the Altar Lot here, or the entire Altar Lot Liturgy here. Of particular note that I'd like to share is a Letter to the New Pope by Fr. Tadros Malaty, which elegantly explains the early controversy that developed as the new papal selection process began and how the faith and prayer of the Church withstood by God's grace. We came in touch with the amazing work of God, after the despair, the pessimism and the frustration that controlled the hearts of many people. God’s work was fulfilled in a very peaceful way. Everybody accepted it. People became joyous. It is not right for the believer to worry about the future of the Church. It is always in the Good Shepherd’s hand. He is the Lover of the salvation of mankind. The believer should not expect the new Pope to be an Icon for one of the previous Popes, no matter how holy he was. Everyone has his own personality which is bestowed by God, and has his own talents and is worthy to carry our Lord Jesus Christ’s icon and not a human icon. 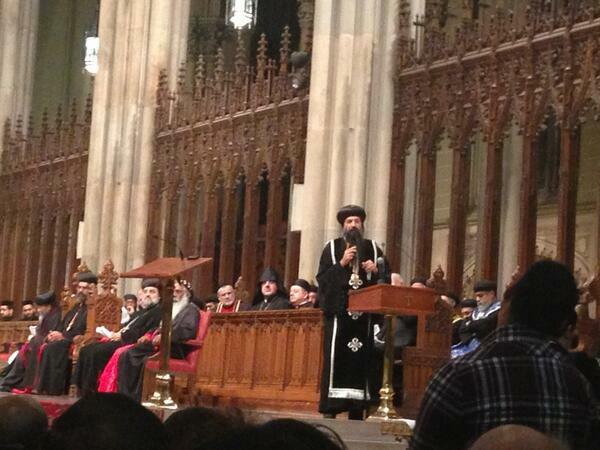 May God continue to watch over His people and give guidance and wisdom to HH Pope Tawadros II as he leads the Church. Below is a brief biography of each of the 5 remaining Papal Candidates. On November 2nd, the list of 5 will be voted on and reduced to 3 remaining candidates. On 2 December, one of three final nominees will be chosen by a blindfolded child, in accordance with Coptic papal tradition following mass at St. Mark's Coptic Cathedral in Cairo's Abbasiya district. Shortly thereafter there will be a special ceremony to enthrone the newly elected Pope as the 118th Papal Seat. We pray that God guides us and appoints for us a new shepherd to lead His people in His wisdom. 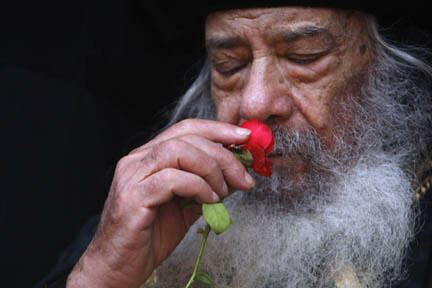 The Coptic Church grieves the departure of His Holiness Pope Shenouda III. He was truly an inspiration to us all -- uniquely to bishops, priests, mothers, fathers down to the very youth of our Church. It would be difficult to find anyone who was not in some way touched, positively and deeply by the example HH has set before us. He truly is a remarkable servant of our Lord and he has somehow pushed each one of us closer towards our Good Shepherd. God is witness, my beloved children, that I did not keep any of God’s words away from you…that I never ever slept my children, and be blamed by any one of you…that if you preserve and keep what I have told you, you will crush the head of the serpent and dragon. So hence, if you preserve and keep what I have said to you, you will eat of the goodness of the earth. So hence, if you preserve and keep what I have said to you, the shinning Cherobeam will guard you. So hence, if you preserve and keep what I have said to you, you will never lack of the Heavenly gifts. I ask of you my beloved children, to ask of Christ for my soul, that it may have comfort in front of Him, and do not count my short falls, unknowingly and unwillingly. 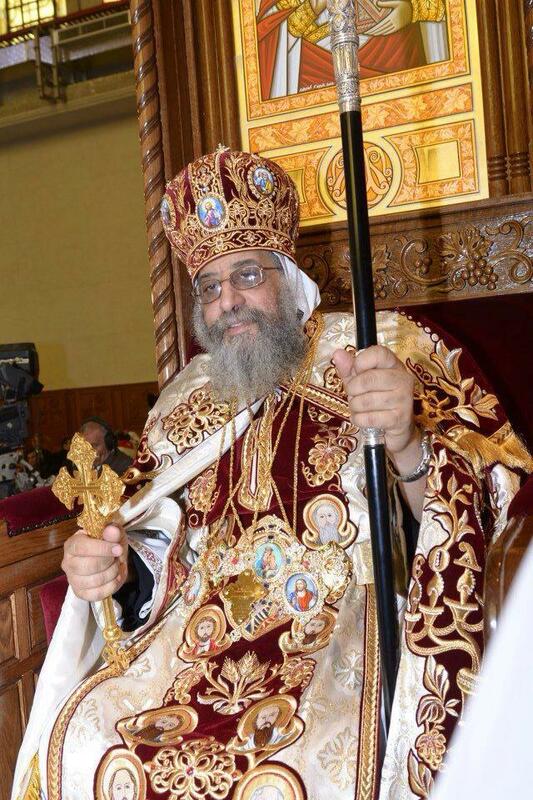 We pray that our Lord may repose the soul of our beloved father in the Paradis of Joy and to strengthen His Coptic Church more than ever. We ask and entreat our good Father to accept the prayers and supplications of His Holiness on our behalf. 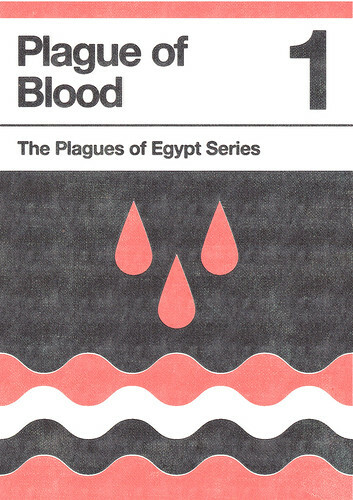 Cleverly designed posters of the 10 plagues of Egypt by jergot+gotroch. Just loved the designs and thought behind each one of these and wanted to share. Enjoy and God bless! 15 Go to Pharaoh in the morning as he is going out to the water, and station yourself to meet him on the bank of the Nile; and you shall take in your hand the staff that was turned into a serpent. 16 "And you will say to him, "The Lord, the God of the Hebrews, sent me to you, saying, "Let My people go, that they may serve Me in the wilderness. 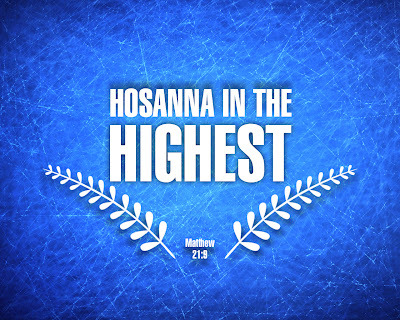 But behold, you have not listened until now." 17 "Thus says the Lord, "By this you shall know that I am the Lord: behold, I will strike the water that is in the Nile with the staff that is in my hand, and it shall be turned to blood. 18 "And the fish that are in the Nile will die, and the Nile will become foul; and the Egyptians will find difficulty in drinking water from the Nile.""" 19 Then the Lord said to Moses, "Say to Aaron, "Take your staff and stretch out your hand over the waters of Egypt, over their rivers, over their streams, and over their pools, and over all their reservoirs of water, that they may become blood; and there shall be blood throughout all the land of Egypt, both in vessels of wood and in vessels of stone." 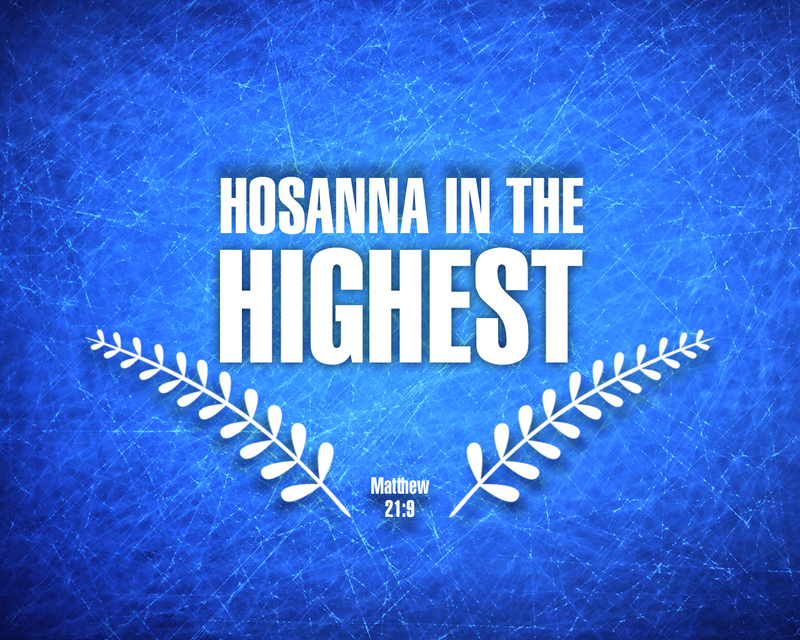 Because of their love for God and God's love for them, He allowed them to ascend to heaven before us. This incredible charity is setting out to provide light to the poor using an ingenious light source — solar powered soda bottles. Brilliant! "And God said, 'Let there be light,' and there was light."